My favorite Japanese flavor of Soft cream/ ice cream. 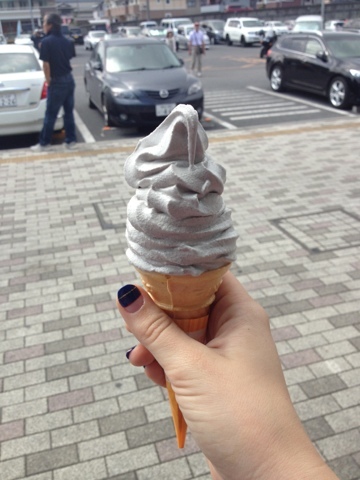 Black Sesame seed! Delicious! It looks so delicious! A perfect summertime treat!